Search Results for "free particles"
Loopable Colorful Pink, Yellow and Purple Circles Moving Around the Screen. Inside Out Motion Picture Titles Inspired Motion Particles Background with Free Space for Titles or Pictures. Motion red and yellow rounds. 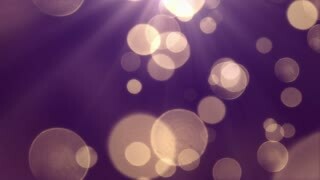 High quality royalty free stock footage and visuals featuring pink, purple, red, yellow and white bokeh orb shaped particle motion backgrounds. Particle Christmas Star Animation, Alpha Channel, Seamless loop - Perfectly suite for you video as overlay or background. Call for customize ! Particle Christmas House Animation, Alpha Channel, Seamless loop - Perfectly suite for you video as overlay or background. Call for customize ! Particle Christmas Tree Ornament Animation, Alpha Channel, Seamless loop - Perfectly suite for you video as overlay or background. Call for customize ! Particle Christmas Gingerbread Man Animation, Alpha Channel, Seamless loop - Perfectly suite for you video as overlay or background. Call for customize ! Particle Christmas Santa Sleigh Animation, Alpha Channel, Seamless loop - Perfectly suite for you video as overlay or background. Call for customize ! Particle Christmas Tree Animation, Alpha Channel, Seamless loop - Perfectly suite for you video as overlay or background. Call for customize ! Particle Christmas Gloves Animation, Alpha Channel, Seamless loop - Perfectly suite for you video as overlay or background. Call for customize ! Particle Christmas Snowman Animation, Alpha Channel, Seamless loop - Perfectly suite for you video as overlay or background. Call for customize ! Particle Christmas Angel Animation, Alpha Channel, Seamless loop - Perfectly suite for you video as overlay or background. Call for customize ! Particle Christmas Snoflake Animation, Alpha Channel, Seamless loop - Perfectly suite for you video as overlay or background. Call for customize ! Particle Christmas Reindeer Animation, Alpha Channel, Seamless loop - Perfectly suite for you video as overlay or background. Call for customize ! Particle Christmas Snowflake Animation, Alpha Channel, Seamless loop - Perfectly suite for you video as overlay or background. Call for customize ! Particle Christmas Candy Cane Animation, Alpha Channel, Seamless loop - Perfectly suite for you video as overlay or background. Call for customize ! Particle Christmas Santa Claus Animation, Alpha Channel, Seamless loop - Perfectly suite for you video as overlay or background. Call for customize ! Particle Christmas Candle Animation, Alpha Channel, Seamless loop - Perfectly suite for you video as overlay or background. Call for customize ! 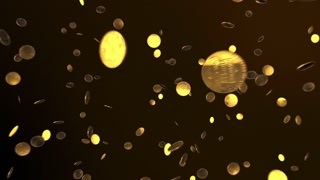 Particle Christmas Bell Animation, Alpha Channel, Seamless loop - Perfectly suite for you video as overlay or background. Call for customize ! Animation of flying flickering particles form a wifi sign or internet symbol on dark background with earth map from dots. Animation of seamless loop. 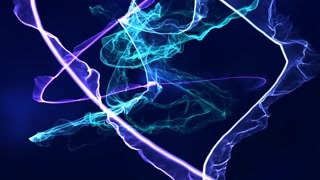 Animation of flying flickering particles form a wifi sign or internet symbol on dark background with earth map from dots. Wi-Fi icon motion on artistic network background. Animation of seamless loop. Particle Christmas Gift Box Animation, Alpha Channel, Seamless loop - Perfectly suite for you video as overlay or background. Call for customize ! Particle Christmas Candy Animation, Alpha Channel, Seamless loop - Perfectly suite for you video as overlay or background. Call for customize ! Particle Christmas Heart Animation, Alpha Channel, Seamless loop - Perfectly suite for you video as overlay or background. Call for customize !